The situation in the region escalated in the course of the 1920s and 1930s as a result of a number of developments. An important factor was the on-going influx of Jewish settlers who were systematically buying up plots of land, with the support of the British mandatory. In 1919, Jewish settlers numbered 66,000, thus making up about 10 percent of the population; by 1929, their numbers had more than doubled to 156,000 (16 percent). Seven years later, they had risen to 370,000, again more than doubling (27 percent). The purchase of land did not keep step with this spectacular growth. All in all, in this period the foundation was laid for a parallel, exclusive Jewish society based upon segregation. 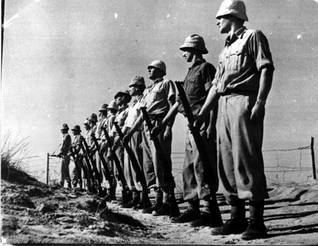 For a long while, Palestinian leaders, mainly originating from the urban elite and acutely aware of the seriousness of the situation, believed that they could convince the British to alter their position with regard to the activities of the Zionist Jews through persuasion in combination with pressure in the form of administrative non-cooperation. 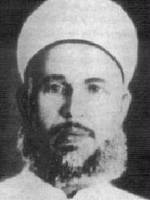 They were led by a Muslim religious leader, Hajj Amin al-Husayni, the mufti (Islamic scholar) of Jerusalem, who was President of the Supreme Muslim Council – an important institution that presided over the administration and supervision of schools, religious foundations (waqfs or awqaf), law courts and such. He and others waged their battle from both Palestinian nationalistic as well as pan-Arab viewpoints. As became evident, the Palestinian leaders, who were themselves strongly divided as a result of personal rivalries, had wrongly assessed the position of the British. The British policy remained unaltered, even after bloody confrontations between Zionist Jews and Palestinians, for example in August 1929 in Hebron following a series of incidents at the Wailing Wall/Al Buraq Wall. As events spun out of control, the Palestinian leaders lost more and more ground to those who believed that the British were an even greater obstacle to the realization of Arab/Palestine aspirations than the Zionist Jews. Both needed to be combatted by force of arms. In the countryside and in the city slums, guerrilla groups were formed, made up predominantly of landless farmers. One of the earliest groups was led by a Muslim religious leader, Izz al-Din al-Qassam – an icon of Palestinian resistance movements known for his valour – who was soon killed by British troops after taking up arms. His violent death led to further escalation, and the pressure on Palestinian leaders increased. On 20 April 1936, they called a general strike for an indefinite period, which found a wide response. Eventually, the strike lasted for 176 days. The armed resistance, now aimed at both the Jewish settlers and the British, also grew in the following years. The British went to extreme lengths to quash the revolt: arrests, expulsion, executions, and collective punitive measures, such as destroying homes. Death squads were also employed – the so-called Special Night Squads – who liquidated prominent Palestinian nationalists. Zionist Jewish combatants fought on the side of the British. The death toll in the revolt, which would last until 1939, was: about 5,000 Palestinian deaths (of whom 108 were executed), 262 British and 300 Jewish settlers. In the course of the revolt, London was forced to send extra troops to Palestine. This was highly inconvenient as the threat of war with Nazi Germany was looming. In an attempt to somewhat placate the Palestinian front, in 1939 the British announced that they would drastically curtail the immigration of Jews and realize the establishment of a Palestinian state within ten years. Power would be divided between Palestinians and Zionist Jews, in accordance with their share of the population. This resulted in anger and hostility amongst Zionist Jews. In reaction, Jewish combatants attacked British targets. The British thus found themselves attacked from two sides. Two years after the end of World War II, London threw in the towel.